Added Facebook's 'I Like' button to the first post in an mp3 thread. Because my browser is set to german language, please give me a short feedback that it comes with the correct language in YOUR browsers. I see the "like" Option in English from here and it seems to work just fine! "gefällt mir" obwohl ich nich bei "Fratzenkladde" bin. 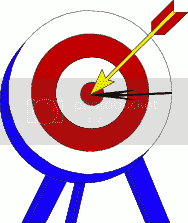 What's the bulls eye ? ... his own Indie Music Site !